Sydney is one of the most famous cities in the world, and is home to many activities that appeal to travelers with any number of interests and expectations. 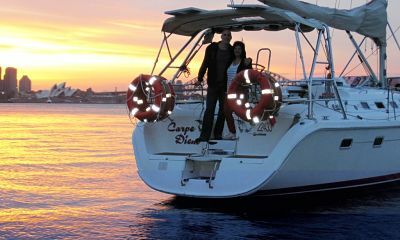 However, there are few experiences to be had in Sydney that can really only be enjoyed by boat. Sydney is a magical city renowned for its diverse culture and iconic skyline. There are so many fun and exciting activities to enjoy in Sydney, but there are a few that can really only be enjoyed by boat. 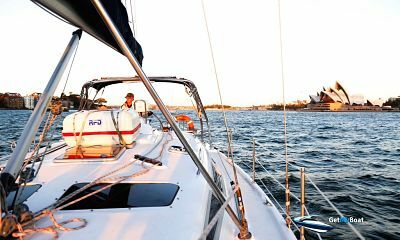 Whether you want to enjoy a day or evening in the harbor with someone else at the helm or if you prefer to chart your own course, there are some experiences in Sydney that are only attainable on the water. 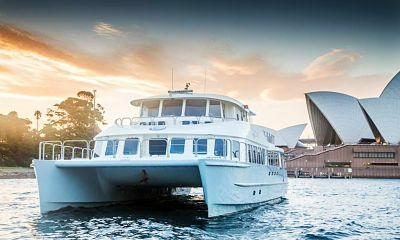 Berthed in the scenic Circular Quay, there are several beautiful, historic ships that you can book a cruise on in order to see and experience Sydney in a unique way. Each of the vessels has a long and colorful history, and a lunch cruise on any of them is not something that can be experienced anywhere else on any other kind of watercraft. 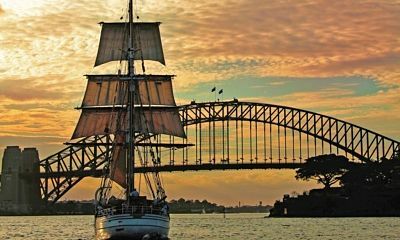 From the historic timber ferry Wangi Queen to the three stunning tall ships Southern Swan, Soren Larsen, and Coral Trekker, Sydney is home to tangible pieces of Australia’s prestigious maritime history that can take you on a scenic tour of Sydney Harbour that you will not soon forget. 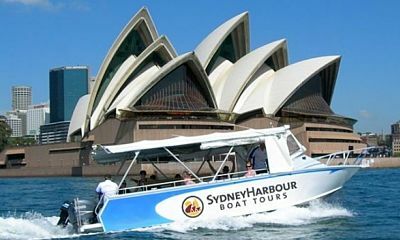 A harbor tour is a fantastic way to view the incredible scenery of downtown Sydney, as well as to see the Sydney Harbour Islands up-close. There are many ferry boat options that will take you to a variety of delightful stops around the harbor and the islands. Some of the islands can only be accessed via a guided ferry boat tour, so this boating option is a particularly good one for those who want to see as much of Sydney as possible during their stay. The cityscape of Sydney is truly astounding, and each of the islands have their own special personalities and histories that are sure to be of interest to adventurers and history buffs alike. If you have always wanted to learn how to sail or even if you want to brush up on your old skill set, then Sydney Harbour is a great place to take a lesson or two. The sheltered, deep waters of the harbor and the regularly balmy weather make for ideal conditions for newbies or amateurs looking for more sailing experience. Sailing is a practical and enjoyable skill to possess, and taking a class with a friend or companion can make for a day full of excitement and challenges that will leave you both with a sense of fulfillment (as well as stories to share). Plenty of opportunities for hands-on learning can be found around the area, and will make for a day (or days) of constructive fun in the Sydney sun. For the experienced boater, there are a plethora of choices when it comes to types of boats that can be chartered out of Sydney Harbour. Sailors will delight in taking out a classic sailboat for a leisurely afternoon spent on the waves. For those who crave speed, there are many powerboats in the area that can be taken out for a day of thrills and excitement. If you would rather a professional take the wheel so that you can focus on sitting back and taking in the incredible views, then you will also be able to easily find a professional captain and the perfect watercraft for your adventure in the Sydney area. Kayaking is a both a relaxing and exhilarating activity that pushes the body while allowing you to explore the water at your own pace. Sydney Harbor features over 150 miles of shoreline, which means that there is plenty of watery territory for you to paddle through. 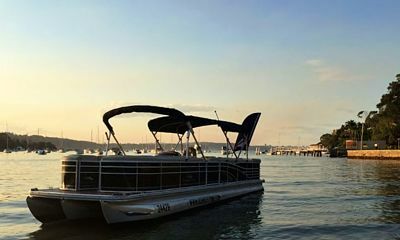 Bring your own or rent one from any number of local establishments, and experience the harbor in one of the most adventurous ways possible. If you are visiting Sydney with a special someone, then you will definitely want to look into booking a sunset dinner cruise out of Sydney Harbour. It will allow you both to take in spectacular views of the city lit up by the setting sun and as it transitions into a sparkling cityscape with the city lights reflected in the deep harbor waters. A romantic meal with views of the Sydney Opera House and Sydney Harbour Bridge will not soon be forgotten, and will be a meaningful and unique experience that you will both treasure. They city of Sydney is expansive and full of activities and opportunities for experiences of all kinds. 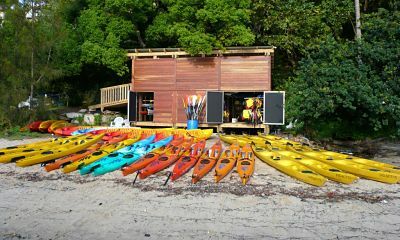 And while the appeals of shore may be varied and diverting, the true spirit of Sydney can only be found on the water. This waterfront town was built around one of the most exceptional harbors on the planet, and there are a multitude of reasons why you should make time during your stay to sample the many delights to be found in the gorgeous waters of Sydney Harbour. Whether you choose to embark on a boating adventure on an historic vessel, take a guided tour of the incomparable islands, learn a new skill with the help of a local Sydneysider, charter the boat of your dreams, enjoy a challenging and scenic kayaking excursion, or take a loved one out for the meal of a lifetime, there are plenty of water activities unique to Sydney that should not be missed.